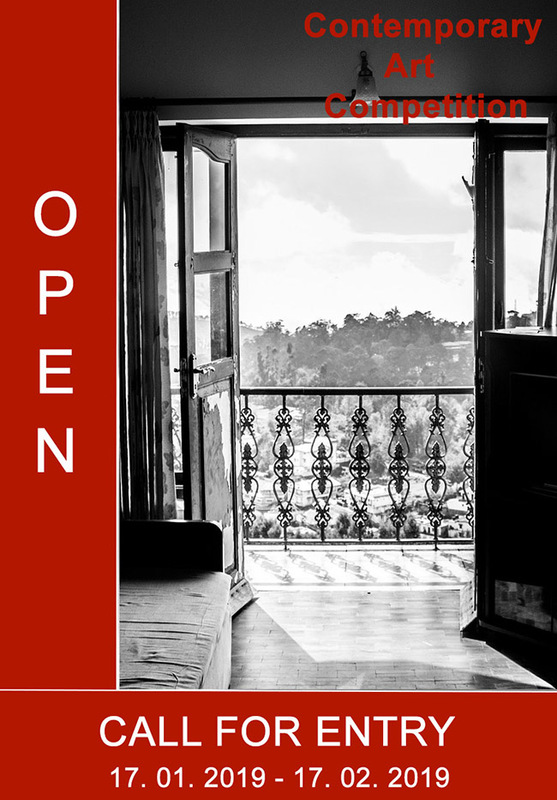 Contemporary Art Room Gallery is proud to announce their 2nd “Open” Online Art Competition for the month of February 2019. This is an international competition and artists from around the world are welcome to submit their work. There is no theme in this competition. All visual art mediums are acceptable (painting, drawing, photography, sculpture, digital, prints, fiber art, collage or installation art) except sound and video art. All winning artists will receive a digital award certificate. First, second and third place will be largely displayed with an article about the artist and their work. Winning artwork (first place) will be on the poster of the show. Depending on the number and quality of all submissions received, Special Merit awards and Honorable Recognition awards may also be presented. Fee is $15 for 2 images of artwork. You may enter more than once,there is no limit to the number of images that an artist can submit. Entry fees are non-refundable. Payment must be made via Pay Pal. The deadline to apply to this art competition is February 17, 2019. All winning artists will receive a digital award certificate, First, second and third place will be largely displayed with an article about the artist and their work. Winning artwork (First place) will be on the poster of the show. Depending on the number and quality of all submissions received, Merit awards and Honorable Mention awards may also be presented. All accepted works will be displayed with the artist name, title of work, and a link back to their website, or email address if they do not have a website. All Accepted artists will receive extensive online publicity and promotion on our website. - Art Room Gallery will use your images only for marketing, promotional, and display purposes for any competition on our website. - Selected works will include artist name, title of work and a link back to their website or email adress if they do not have a website. - Artist shall retain all copyrights of any image they submit to Art Room Gallery. - Images will not be resold, exchanged or copied from this site.